Stop by the Association for Computing Machinery (ACM) office on any given afternoon and you might find students getting help on a project for their CS 100 class, or students discussing the value of ethical hacking. Or you may catch a group of ACM members playing their unofficial video game —Super Smash Bros. Melee. NJIT’s chapter of the ACM has been around for more than a decade and has more than 70 active members. Evan Markowitz, vice president of the chapter, said one of the best aspects of ACM are its special interest groups (SIG). There, students have the opportunity to delve deeper into a specific area of interest such as algorithms, web development or data science. Markowitz, a sophomore computer science major, said the SIG Blender group focused on learning to develop 3D models last semester and the SIG Data Science group taught classes on Python programming. 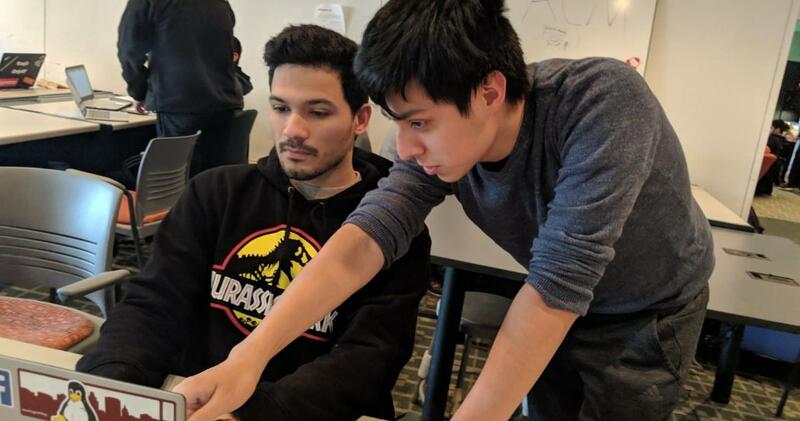 The chapter works closely with the NJIT Ying Wu College of Computing (YWCC) in providing tutoring services to their fellow students and on organizing events such as HackNJIT, a 24-hour hackathon. While the large majority of club members are YWCC students, Markowitz stressed that the chapter is open to any NJIT student. To learn more about NJIT’s ACM chapter check out http://njit.acm.org. Or, stop by their weekly meetings every Friday at noon in GITC 3710.